A New Haven resident Mrs. Barbara Lynn Newman age 58 passed away Thursday, April 4, 2019 at Jewish Hospital in Louisville. 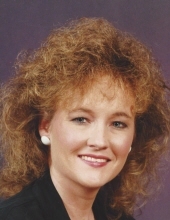 She was born on December 10, 1960 in LaGrange to the late Carlos and Nancy Gray Greer. Barbara was the manager of Dairy Queen in Bardstown and of the Baptist faith. Besides her parents she was preceded in death by a sister, Sharon Greer and a brother, J.O. Greer. She is survived by her husband David Newman, Sr., a son, James Wayne Girdley, Jr. of Bardstown, 2 daughters, Jessica Lee Greer of New Haven, Mallory Jane Newman of New Haven, a step-son, David Newman, Jr., of Louisville, 5 sisters, Gerry (George) Greer of LaGrange, Karen (Kyle) Wilmouth of Leitchfield, Alice (Allan) Lawson of Tenn., Charlotte (Bill) Bohannon, Tamie Greer of both of Florida, 3 brothers, Lloyd (Faye) Greer of Henry County, Levi(Jackie) Greer of Louisville and Daniel Greer of Florida. Barbara is also survived by 5 grandchildren. Funeral services for Mrs. Barbara Newman will be 3:00pm, Sunday, April 7, 2019 at the Houghlin-Greenwell Funeral Home with her step-son David Newman, Jr., officiating. Interment will be in Bardstown Cemetery. Visitation will be Sunday from Noon-3:00pm at the Houghlin-Greenwell Funeral Home, 1475 New Shepherdsville Road, who is in charge of arrangements. The family request that expressions of sympathy take the form of contributions to St. Jude Children’s Hospital. To send flowers or a remembrance gift to the family of Barbara Lynn Newman, please visit our Tribute Store. "Email Address" would like to share the life celebration of Barbara Lynn Newman. Click on the "link" to go to share a favorite memory or leave a condolence message for the family.